We specialize in the design of equipment operated in harsh environments by engineering solutions that effectively manage the impacts caused by bio-fouling, corrosion, and long-term exposure. 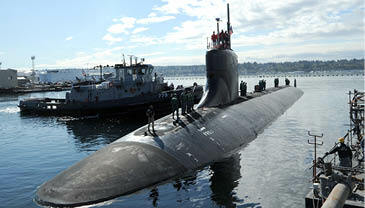 We work with the Office of Naval Research to develop cutting-edge technology used to support U.S. Navy capability objectives, including the Large Vessel Interface Lift On/Lift Off (LVI Lo/Lo), Interface Ramp Technologies (IRT), Advanced Mooring System (AMS) and Joint Universal Causeway Interface Modules (JUCIMs). For more than two decades, we have supported submarine rescue operations by building key components and modifying existing equipment to meet U.S. Navy requirements for mission-critical, life-saving applications. We are experienced in the design, fabrication, operation, and certification of saturation (SAT) diving systems, launch and recovery systems, commercial developments for hull cleaning and pipeline inspection. Demonstrating our engineering and manufacturing expertise, this patented, field-proven firefighting tool fights fires in aircraft fuselages, marine hulls, ISO containers, semi-trailers, buildings, and other compartmented structures. Our onsite manufacturing capability supports cost effectiveness through real-time oversight and control of project scopes and progress. Collaboration with engineers and customers during the design process improves manufacturability and reduces production costs. We maintain an ISO 9001:2008-certified Quality Management System that guarantees quick responses and precision work. Oceaneering is a SeaPort-e prime contract holder in all seven geographic regions.